This course will take you out sailing on a cruising yacht. By the end of the course you will have participated in steering, sail handling and rope work, and you will be aware of safety on board. 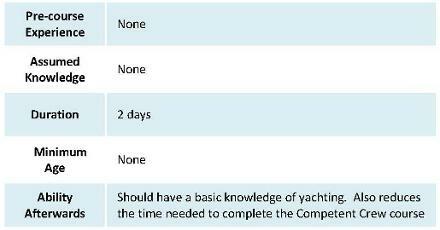 Holders of the Start Yachting Certificate can go on to complete the Competent Crew course in a reduced time of three days.